You can insert Avatar actions to the scene. 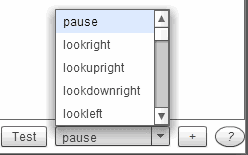 Do this by clicking on the drop down menu to the right of "Test". Do this by clicking on the "Test" button in the agent control panel. 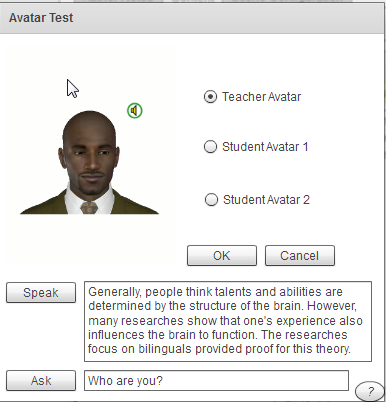 Choose which Avatar you would like to speak, and then click on the "Speak" button to test the speech. Click OK when you are done.